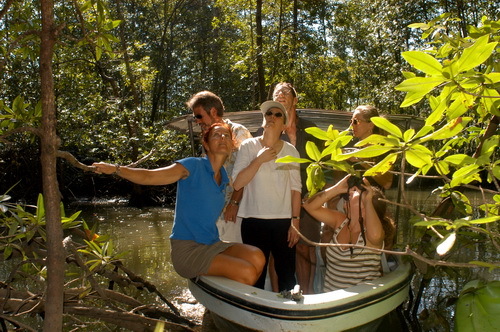 The estuary or mangrove night boat tour offers a great opportunity to see a different side of the mangrove during the evening. There are white face monkeys, foxes, sloths, and other animals. A fantastic tour to do with your family. Price starts at $450 for 2 people and every extra passenger pays $75.